(NewsUSA) - How can employers keep their best workers when increasing salaries isn't necessarily an option? 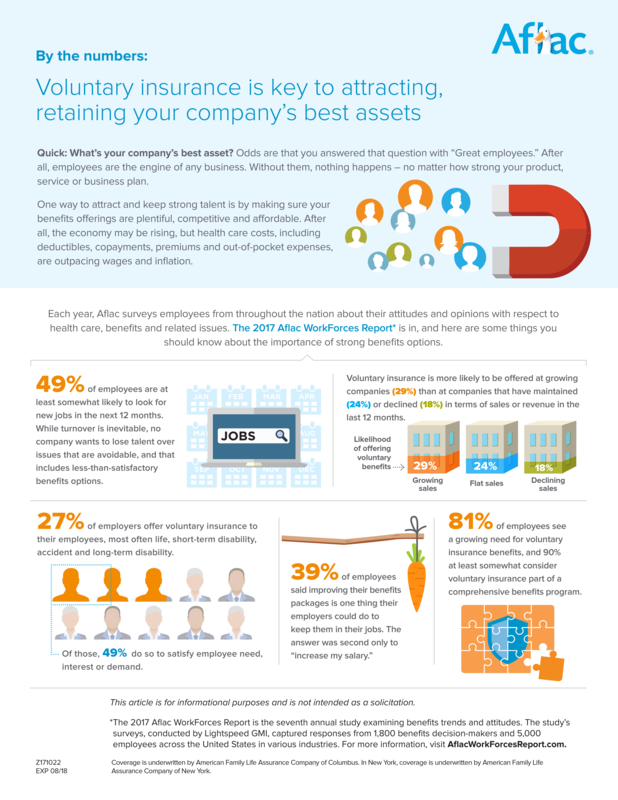 The Aflac WorkForces Report found that robust, cost-effective benefits offerings - especially in today's environment of rising costs - can be an effective solution for businesses serious about protecting their most valuable assets. Evidence shows many employees may test the waters in the next year, and voluntary insurance can be a critical tool in providing a broad range of benefits options. A vast majority of employees see the need for voluntary insurance, and they are most likely to find these options from companies whose performance is on the rise.